Time to say goodbye to Kanazawa for Tokyo then say 'Sayonara' to Japan. I woke up early to take Shinkansen to Tokyo. Since it was a long journey ahead. Not much appetite though so I made this instant miso clams soup. Look at that 'kawaii' clams. You pour the miso sauce and hot boiling water on it and it open like that. DAEBAK! Taste? Refreshing hot miso soup . Not bad! If in cold weather will be nice. 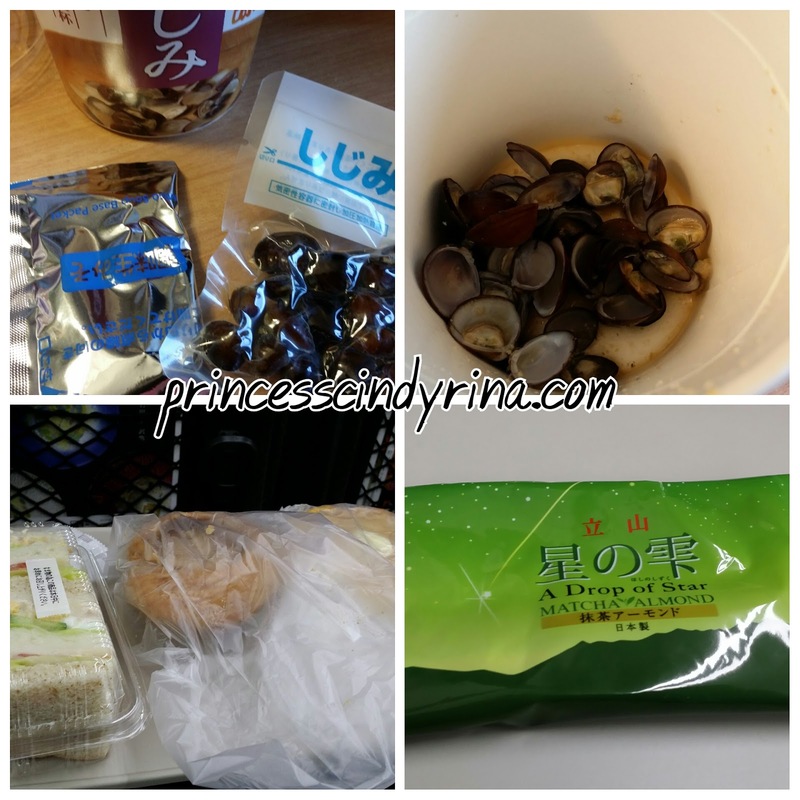 I don't eat the clams though....afraid stomachache. Who knows.... so need to take extra precaution. Then bought some sandwiches and cinnamon rolls for my train ride picnic. 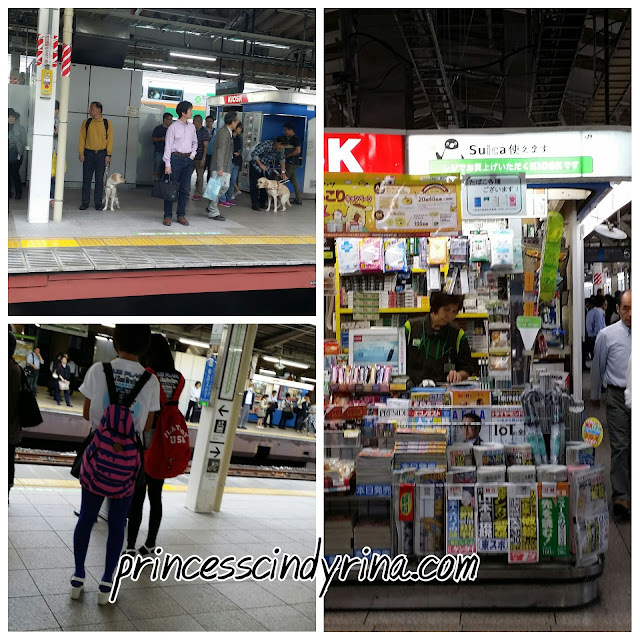 Reach the busy Tokyo station. I have been at natural and country side for few days. I am a bit culture shock when reach to big city of Tokyo. I don't like it at all. Everywhere is big tall concrete building. Everyone walk like 'no soul' robot! Haihhhh!!!! Most of Japanese food is cold. It look beautiful but the cold but is not to my liking at all. Taste ok if its hot! That is why , I kind of less tempting to even buy them just because it look nicely displayed. Too bad when reached Tokyo , it was a rainy day all the way. So it made me uncomfortable to walk around to explore. 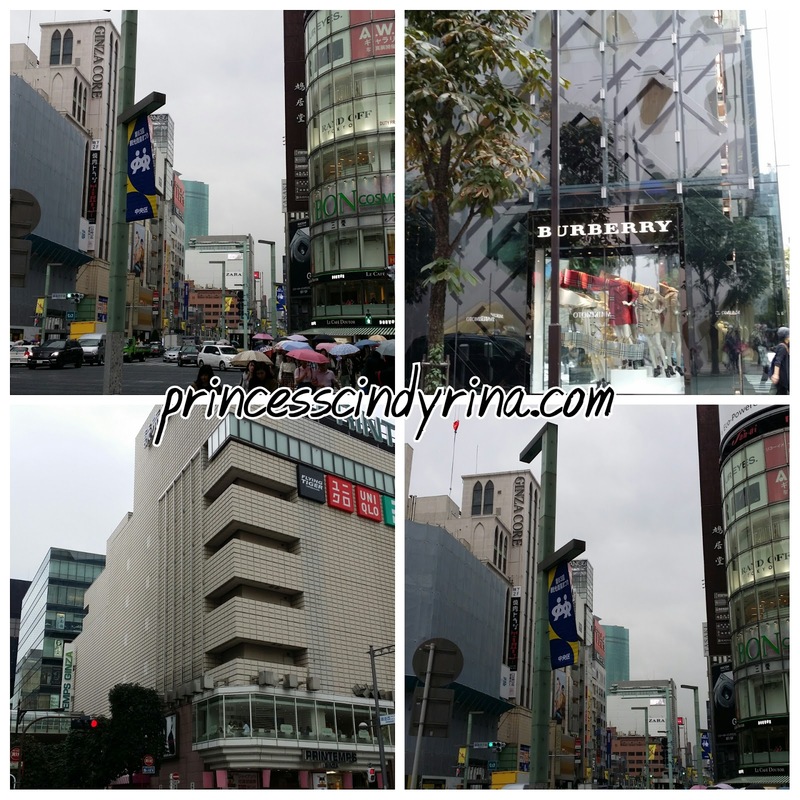 I manage to walk along akibahara, ginza and tuskuji area. Again...this place has less greens around and I don't really fancy tall building and busy road. 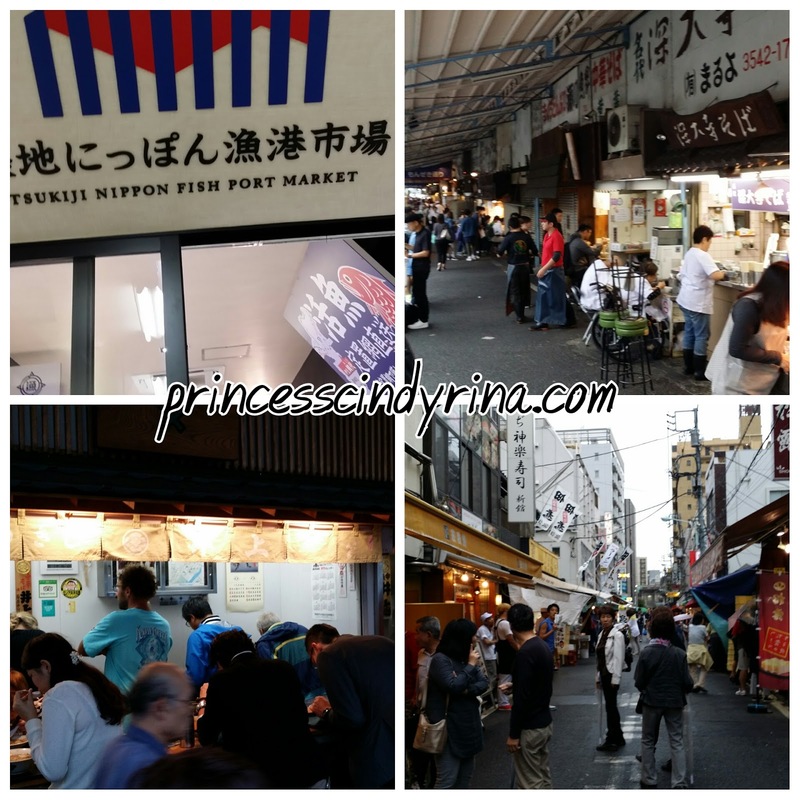 I wanted to eat around Tsukuji market but the rain was too heavy. So I settled down at one of the restaurant nearby for Spagetti. That Squid ink spagetti look ugly and and yucks looking heh??? But its yummy though! Especially when I sprinkle whole lots of parmesan cheese on top. By the time rain stop, it was so late afternoon and most vendors at Tsukuji area is calling off their day. isk isk isk...I saw many people eat ramen and beef noodles here. The culture here is eating while standing. huhuhuh...look like not easy to digest to me. I saw few 'ang mo' try to adapt the culture order the ramen and eat using chopstick while standing. Pity! One lady 'ang mo' use both hand for chopstick and her face doesn't seems like she enjoy it. True enough! I saw her left the bowl with full of ramen in it. She gave up! Maybe the taste not to her liking? Perhaps the chopstick? I met fellow Malaysian lady who are from Penang. She was manning the side dishes stall. She called out to me first. Malaysian lady : Malaysian? Indonesian? Me : Is it? Apa buat sini? Kahwin Jepun ke? 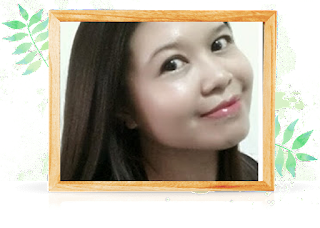 Malaysian lady : 10 year edi. Me : Whoa!!! !don't miss Malaysia meh? when going back? Then our conversation was interrupted by the Japanese man who was standing near us. Malaysian lady : He asked what is our Malaysian population like? Me : Aloooo... why you ask me this kind of question? I am bad at this and pretty much ignorant too. Haihhhh! mmmmm...maybe 15 million? Malaysian lady soh seh soh seh in Japanese to that man. That man look surprise and utter some words like so little??? kekekekeke... I went back and check...IMA gave wrong info. kakakakaka next time google la..don't asked passers by like me. Damn!!!! Lucky...don't pass by that road again. I bought some black beans tea 450 JPY to help fellow Malaysian there. Gambateh! 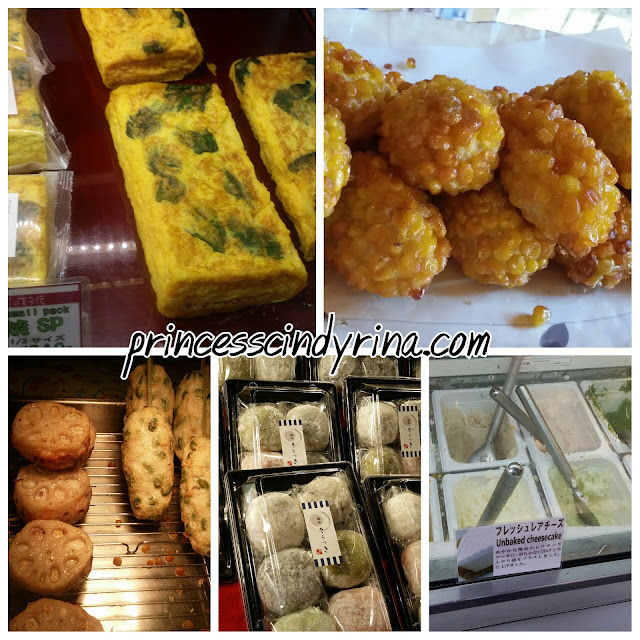 Bought some fish cakes , tamago, dango and wasabe ice creams for my tea time and dinner. Not sure I have strength to walk further. I feel like I want to get out of this concrete jungle. I feel suffocated here. Lucky bought some food for dinner because Tokyo was rain cat and dog until night. I need to get out ..I need to get out... 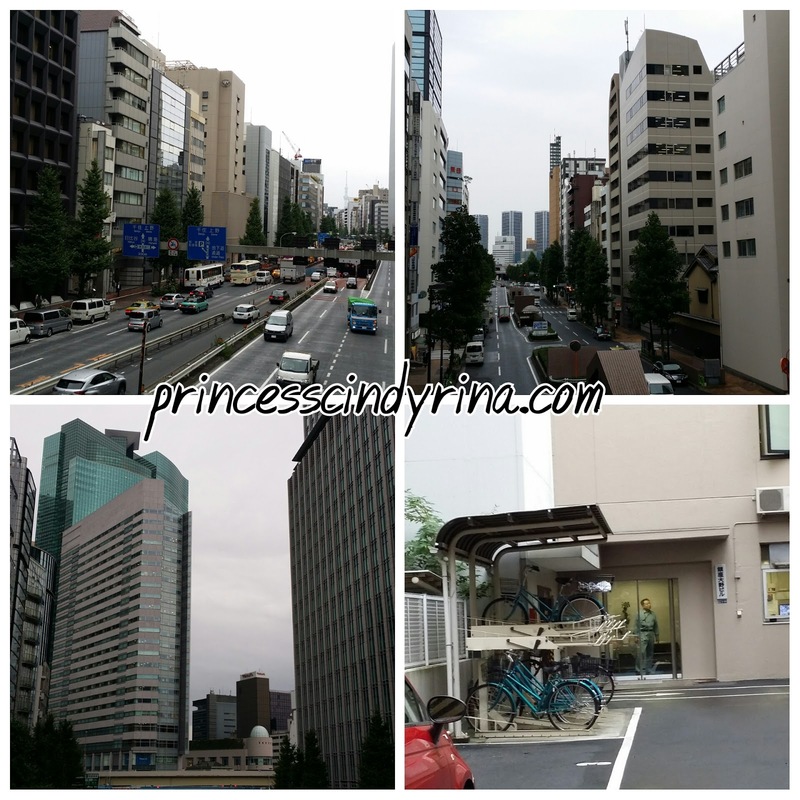 I search for some info on how to the place via train to get away from Tokyo. Tomorrow I have one full day before head off to Malaysia the next day. So I end up did impromptu plan to make use of my whole day to travel by train to Hakone for more natural view. Check out my final Hakone trail journey on next post. I will do my trip summary on Friday post. It won't be too details and with cost. Too me its much better for you to do own research and each budget is depends on individual capability. I did the same too! The spaghetti looks so black.. Pretty new to me.. Never see before..... Happy trip in Japan..
Am going to Tokyo next year and I have to prepare my Brahims because I also do not like cold food. Funny answer you gave to the lady and hopefully nobody ask me the same question later too. The black spaghetti kinda remind me of the black noodle from Korea. haha. I wanted to go to the Tsukiji Market too. I try to avoid cold food when I am on the road too. Hot sits better in my tummy. I don't like cold food too. Prefer Malaysian hot and spicy food instead. always goos to try all nice food during travel . but i will save more , n save to spend more on travel more location !! good feeling to know some friend from our own country , chat n share the experience . after all your beautiful pictures of japan green, tokyo concrete just don't cut it right? 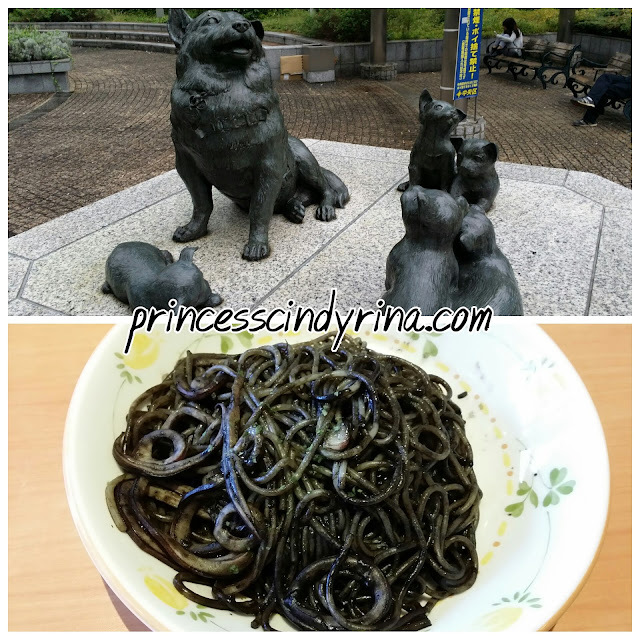 I tried the Squid ink pasta too when i was in osaka. Its just simply delicious because of the fresh pasta and the light sauce. Have you tried eating fugu yet? Beautiful experiences. I love the peaceful countryside too. Not so much of a city girl even if I live smack in the middle of KL...haha. Looking at your photos makes me feel so jealous T.T I wanna go Japan toooo! I would love to try the instant clamp soup! Must be really delicious! you're right, squid ink pastas aren't the best looking, but once you taste it, you will want more! hehe. I really miss being in japan lah.. :( I met quite a number of malaysians working/living in japan too. 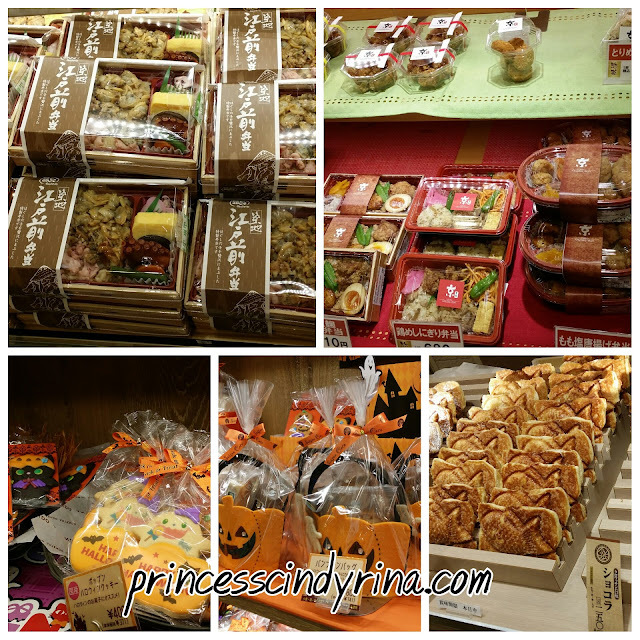 can't deny that their culture & lifestyle is better..
i don't know why they have so many cute food, everything is cute about Japan, why? ?